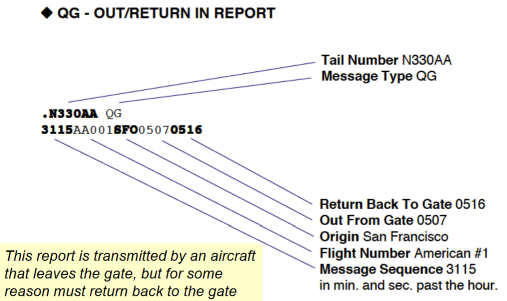 How are the departure and arrival airport codes in the OUT, OFF, ON and IN (OOOI) fields identified by ACARS and transmitted to ground systems? For example, if my aircraft is diverted unexpectedly to Bangkok because of some emergency, will ACARS send the arrival airport code as BKK in the IN message? If so, how will it be identified? 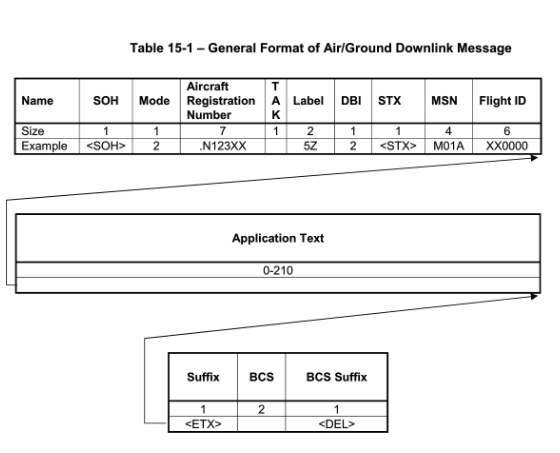 ACARS messages, unsurprisingly, use IATA airport codes. See ARINC 618, 619, 620 etc. Not the answer you're looking for? Browse other questions tagged flight-planning acars or ask your own question. Is it possible to calculate the distance to climb to 1000 Ft in Cessna 172S?